Bela Gandhi, Lynn Richardson and Dr. V tackle finances, dating and relationship dilemmas. 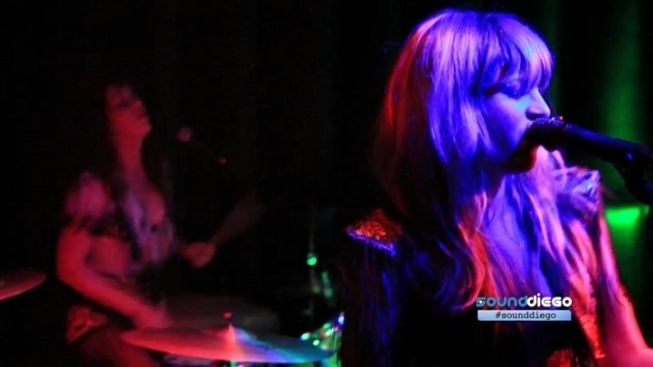 Deap Vally return to San Diego County riding a wave of critical acclaim. The weekend is approaching, and the week has been full of music. That trend continues on Thursday, when Deap Vally roll into the Belly Up, with support from the locals of Muscle Beech and Wild Wild Wets. Deap Vally has been getting some great critical acclaim, and with local ties, these ladies deserve your support. Meanwhile, the Casbah hosts the return of That 1 Guy, and it might be the first time that Big Toe is performing at the club. If you've never seen Mark perform, he's a sight to see as he plays his guitar with his feet. It's absolutely mesmerizing how he turned a challenging disability into an amazing abilitiy. Around town, GZA tears down the Observatory, the Sidekicks are at Soda Bar, and Trouble in the Wind perform in their stomping grounds at Boar's Crossin. Rosemary Bystrak is the publicist for the Casbah and writes about the San Diego music scene, events and general musings about life in San Diego on San Diego: Dialed In. Follow her updates on Twitter or contact her directly.